Singapore, 31 October 2013 – Chivas 18 pulls back the curtain on what makes the Modern Gentleman in a series of vignettes to be aired on the History Channel on cable, as well as online. Called the Modern Gentleman Travels, these vignettes showcase the meaning behind the Modern Gentleman as he journeys throughout South-East Asia. The Modern Gentleman is defined by Chivas 18 as a man who comprises three different aspects: Performance, whereby his every action is done to the best of his ability; Style, whereby he carries himself with immaculate bearing; and Heart, whereby he is socially conscious and does not shy away from helping his fellow man or championing a cause. “For the Modern Gentleman, success does not come at all costs. He is just as willing to aid his fellow man as he is in the pursuit of excellence in his craft. With The Modern Gentleman Travels, we will get to see how the Modern Gentleman seeks to make a difference as he travels in style and luxury. It is also a platform for us to highlight the many qualities of Chivas 18, which salutes those among us who possess the Heart, Style and Performance of the Modern Gentleman,” explains Ms Charmaine Leung, Marketing Director, Pernod Ricard Singapore. 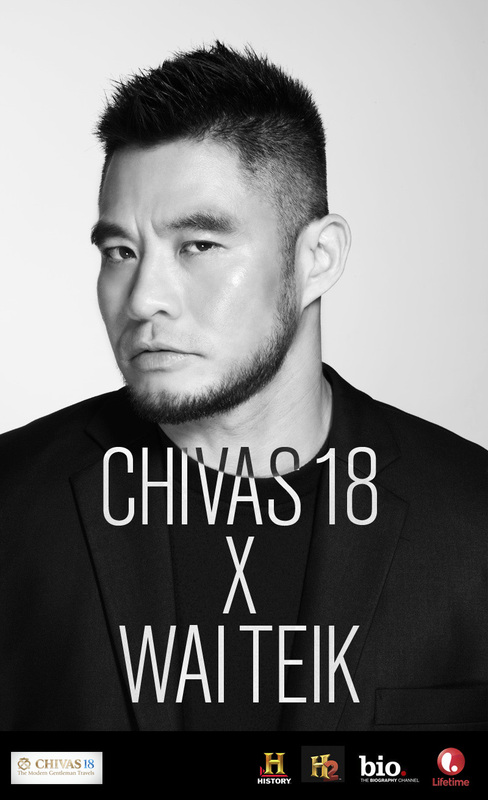 Chivas 18 has identified three Modern Gentlemen, each of whom will travel to three different countries. They will travel in Business Class and stay in a luxury hotel, as befits a man of Style. At each locale, the Modern Gentleman will engage in a cause that is personal to him. The first Modern Gentleman to embark on the Travels is award-winning photographer Wai Teik. Having founded his studio in 1998, Wai Teik is known for his concept-driven fashion photography and his ability to draw out the defining essence of his subjects. He gives back to the community, often speaking at seminars and forums encouraging others to pursue their passion for photography. He is also no stranger to philanthropy – some of the proceeds from the various art shows that he has participated in have gone to helping the less fortunate. Wai Teik has travelled to the Lao People’s Democratic Republic, or Laos, to document the daily life and struggles of a people whose country has been beset by war throughout much ofits history. Landlocked and bordered by five countries, Laos has largely been in the shadow of its more prominent neighbours. “Despite all that they have been through, the Laotian people have been the most hospitable of hosts and they have never failed to share a smile. Through my photography, I hope tocapture their resilience and their perseverance in going through their daily life. At the same time, I hope to show Singaporeans a side of Laos that they might not be aware of,” explains Wai Teik. Among the places that he visited in Vientiane were Thong Khan Gham market and Nong Boun Tong village.